Wincanton's infamous Children's Day coincides with the Easter Holidays on Sunday 21st April. The day stages a feast of child-friendly activities from pony racing to a donkey derby as well as the chance to practice ball skills with Yeovil Town Football Club and riding a rodeo bull simulator! "Children's Day has grown in stature and attracts the future race-goer. This year with live pony racing, we are able to make racing more accessible to the next generation." Wincanton is also offering children the chance to design their own racing skills in association with Treehouse Sporting Colours. Competition details can be found online with a closing date of Thursday 27th March. Gates open at midday with the first race off at 2:10pm. 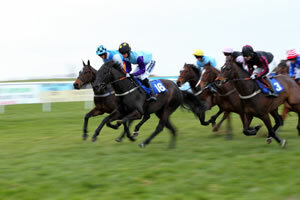 Advanced tickets are available from £12 at www.wincantonracecourse.co.uk or 08445 793014.